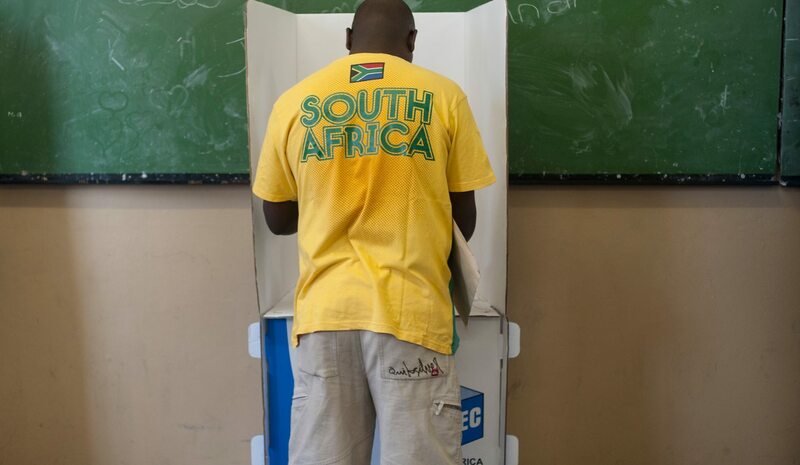 By-elections held on 20 September saw the African National Congress (ANC) fall short in their bid to win a super marginal ward in Gamagara (Kathu area) in the Northern Cape from the Democratic Alliance (DA), while the ANC and DA had comfortable holds in two other wards. There was also a strong second place for a faded political party in the City of Cape Town by-election. By WAYNE SUSSMAN. This large and expansive ward includes the ANC stronghold of Babatas which lies just off the N14 on the Kuruman-Kathu road, the DA stronghold’s of Dibeng and Bestwood and three tiny voting districts in the Kathu farming district. The DA won here by 42 votes in 2016, winning four of the six voting districts, while the ANC carried the other two, including the vote rich voting district of Babatas (Broughton Farm Guest House). The Freedom Front (VF+) came third here last time and did not contest this time. The DA won this ward by running up the numbers in the second and third largest voting districts of the ward in Dibeng and Bestwood. Turn-out was slightly higher in these voting districts when compared to 2016. It also appears that voters who supported the VF+ here in 2016, turned up and cast their vote for the DA. The DA also wrested the small Khai Apple voting district from the ANC. They lost here by eight votes in 2016, but won here by over thirty votes last night. This turn away from the ANC to the DA seems to be confined at this one voting district. The DA carried the two other tiny voting districts in the Kathu Farms area. The ANC put a significant amount of energy into Turn-out at Babatas. Turn-out here was a staggering 78%, with the ANC winning by 186 votes. This made a significant dent in their shortcomings in the other voting districts but was not enough to prevent the DA from having an increased majority in the ward as the DA won by 114 votes. The EFF finished a distant third here. Turn-out was a very good 61%. The large, sprawling township of Nyanga sits near to the Cape Town International Airport. This has always been a safe ANC seat, and the focus was on who would come second this time round. The Pan Africanist Congress of Azania (PAC) had a strong showing here as they finished well ahead of the DA and the EFF. While the ANC had a slight dip in support, they will focus on the areas around the Linge Primary School and the Walter Teka Primary School where their margin of victory was not significant enough in a safe seat. It will be interesting to observe whether the PAC can use their showing here to stage a comeback in other parts of the city. They were well beaten by the ANC but them garnering over 900 votes in a by election would be encouraging to the party faithful. The DA had a small blip in their returns, but that blip saw them come a distant third. Turn-out was 38%. This ward is comprised of small holdings, plots, farms and a golf course estate in the greater Walkerville area. The DA did what they needed to do to hold this safe seat, as this result mimicked their result in 2016, with a slightly better showing in the Alewynspoort voting district. Midvaal is the DA stronghold of Gauteng and they will be happy with this result. The EFF had real growth in the ward, receiving 78 votes compared to the 2016 they got here in 2016. Turn-out was 37%.